Denzel Washington is simply one of the best actors working today. There's no real question about it. I still contend that he should have won Best Actor at the 2017 Academy Awards for his role in Fences instead of Casey Affleck for Manchester by the Sea. Affleck was really good, but I thought that Washington acted circles around him. So whenever Denzel is in a movie, it immediately has my attention. The Equalizer 2 comes four years after its predecessor, and I thought the first movie was good but not great. Denzel was, of course, excellent as always, but an unevenly paced second act and too many subplots dragged the movie down. But while The Equalizer had its shortcomings, there was a lot of possibilities with a sequel. 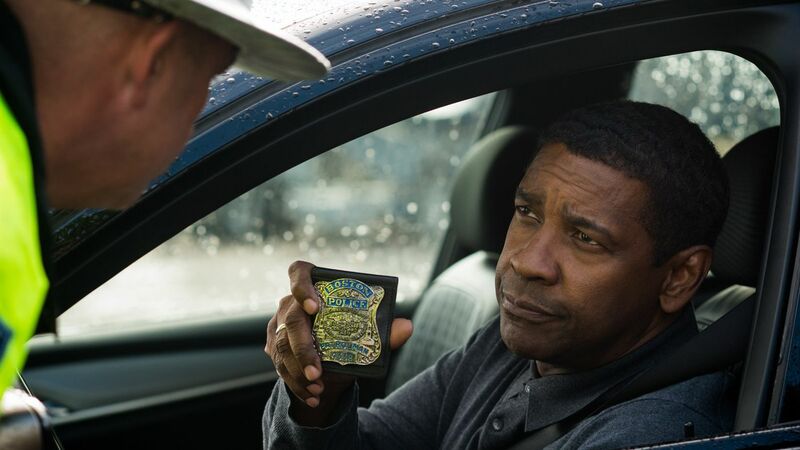 Perhaps Antoine Fuqua learned from The Equalizer's mistakes, and could deliver on a tighter, stronger sequel. So while I wasn't counting down the days until I got to see The Equalizer 2, I went in hoping it would deliver. 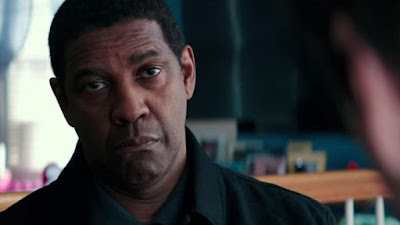 And The Equalizer 2 is pretty much the same as the first one. Denzel Washington gives another great performance, and Antoine Fuqua delivers on great action sequences, but it is still too long of a film with an over complicated narrative. If these movies had a lesser actor in their leading role, then I think they would be direct-to-home-video movies. Or they would at least have that feeling. But Denzel Washington's presence immediately elevates the material. He gives it credibility. Once again. Denzel is great as always. He makes you care about Robert McCall, and he gets you invested in his character. Not only does Denzel excel with the action sequences, but he makes the smaller moments--the dialogue scenes--compelling. The strength of the narrative may not match the strength of Denzel's performance, but he at least makes it watchable and entertaining. And when it does come to the action sequences, Denzel does a fantastic job. 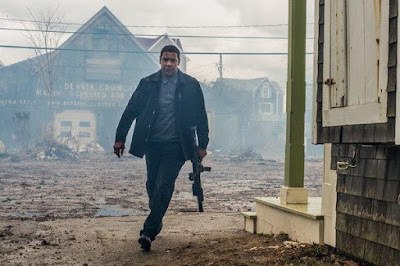 I think he is rather underrated as an action star, because we mostly look at him as the Oscar-caliber dramatic actor, but Denzel does a really great job in action roles, and these Equalizer movies are proof of that. In this film, McCall becomes a mentor of sorts for a young kid named Miles, played by Moonlight's Ashton Sanders. Throughout the movie, McCall tries to keep Miles from turning to crime and instead encourages him to pursue his passion for art. Denzel and Sanders have excellent chemistry, and their back-and-forths make for some of the best parts of the film. It is similar to the dynamic Denzel and Chloë Grace Moretz had in the first film, but this time it carries throughout the entire movie instead of just being for the first act. Sanders is a great addition to the movie, and his scenes with Denzel are some of the best this film has to offer. 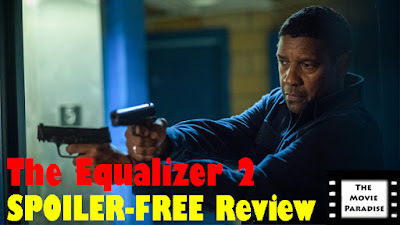 Once again, The Equalizer 2 is too long and its narrative is not as strong as it could be. While this one is shorter than the first film, it is still fifteen minutes too long, whereas the first film was more like thirty minutes too long. So it's an improvement, but it's quite not there yet. Maybe a third film will be the perfect length. While the action sequences are exciting and a lot of the smaller character moments are really interesting, there are a lot of dull narrative-building scenes that just eat up time. Once again, this movie has an overly convoluted plot that does not need to be as complicated as it is. Pedro Pascal is a new addition to the film and, while I like Pascal as an actor, I found his character to be rather one-note. There isn't that much too him, and I just couldn't get into his character. And the lack of intrigue behind his character ultimately lessens the stakes of the third act. In the first film, McCall utilizes a lot of different tools as means for killing people, which made the action stand apart from other movies. Here, it's a lot of just punching and shooting, and it's missing that uniqueness the first film had. Overall, The Equalizer 2 has the same strengths and weaknesses as the first movie. Denzel Washington is great as always, and director Antoine Fuqua delivers on hard-hitting action sequences. But the movie is still too long, and the narrative is rather dull. While the addition of Ashton Sanders is great, Pedro Pascal doesn't do much for the film. So these past two movies have been good but not great. I'm not actively hoping for a third one, but if they make one I'll definitely be interested in checking it out. What do you think? Have you seen The Equalizer 2? If not, are you planning on seeing it? Leave your (spoiler-free) thoughts in the comments section below.